Lay the pizza dough on an oven tray lined with baking paper. Puree the milk and feta and spread across the dough, leaving an edge around the tart of approx. 2 cm. for approx. 15 mins. on the bottom shelf of an oven preheated to 220°C. Heat the oil, stir-fry the onions and mushrooms for approx. 5 mins. Add the wine and reduce completely, season, stir in the herbs. 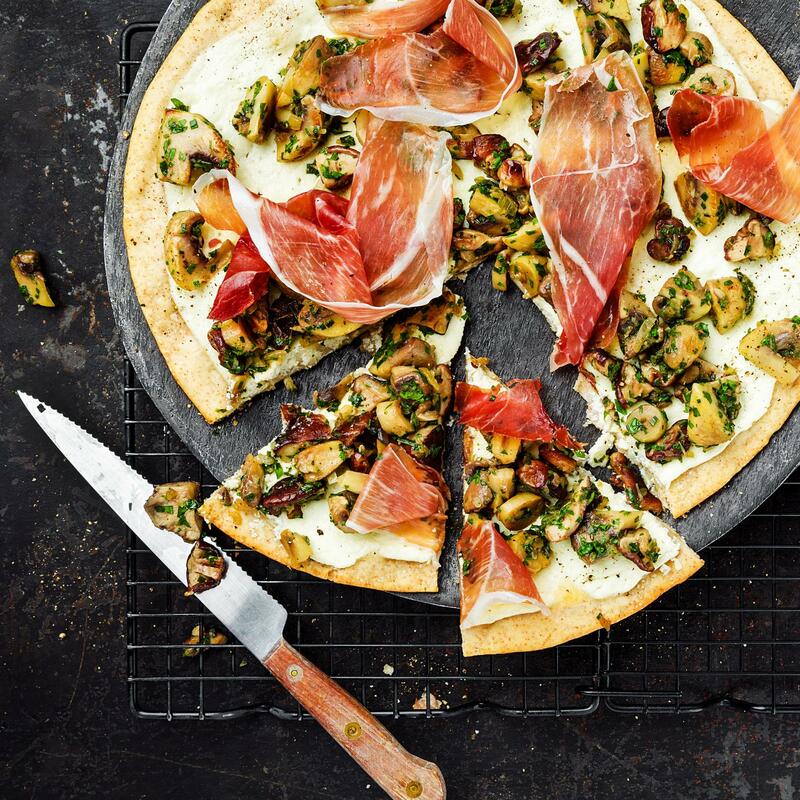 Divide the mushrooms and ham over the tart.